Every year we say to each other ‘lets make some marmalade’, and every year we leave it till the last moment to buy the Seville oranges. This year was typical. 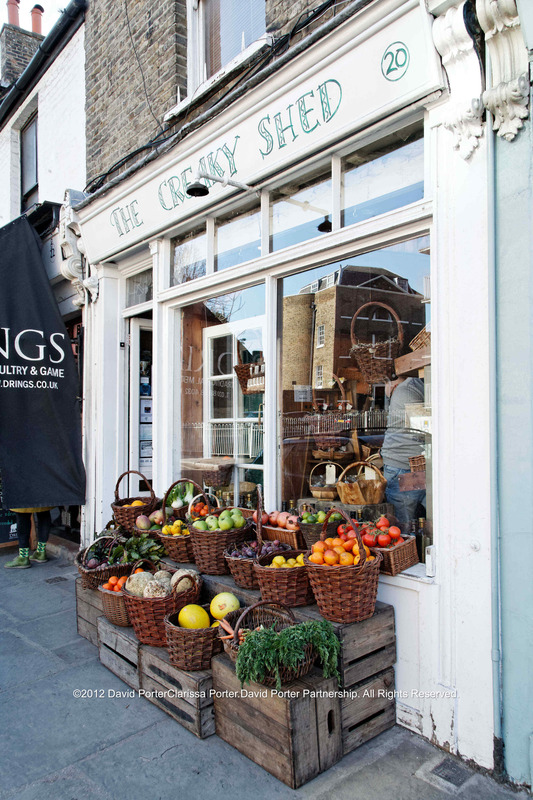 I hadn’t seen any Sevilles in the local shops, then one day last week driving along Royal Hill in Greenwich I saw several crates of oranges displayed outside The Creaky Shed. I stopped and ran inside, the greengrocer was bagging some tomatoes for a customer when I asked for Seville oranges. “No they’re finished,” he said, but as I turned to go he murmured, “hang on” and winked. Disappearing out the back he returned with a bag of Sevilles. “These are past their best I was going to chuck them out but you can have them.” Feeling pretty pleased with myself and promising to return with a jar of marmalade I went home and weighed them, 14 lb! Or about 10 lb when I removed the really mouldy fruit. This is how it must have been for Mrs Keiller in 1797 in Dundee. The story goes that a Spanish ship put into Dundee in a storm with a cargo of Seville oranges that were ‘on the turn’. Seeing an opportunity the resourceful Mrs Keiller bought the cargo and turned them into marmalade. This sounds to me like early PR, but anyway the rest is history. Or is it? A similar story emerged in Oxford in 1874 when Sarah Cooper made 34 kg of Seville orange marmalade, selling the jars in her husband’s grocery shop. 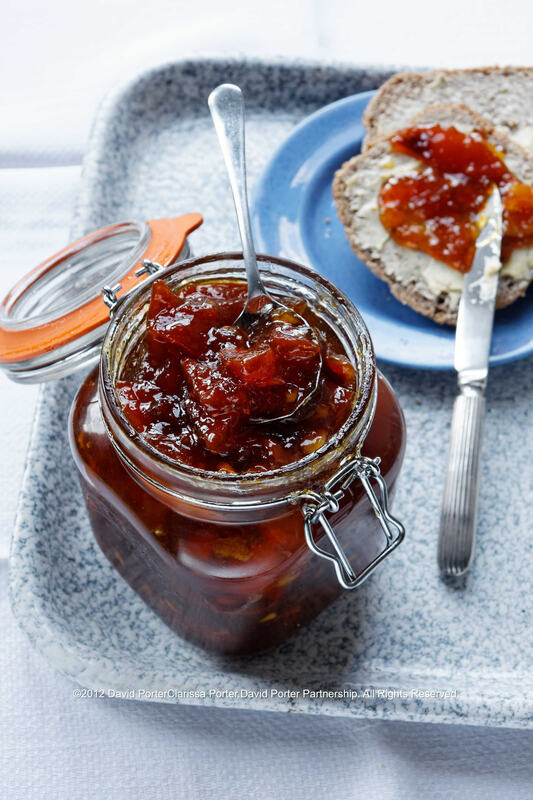 Her marmalade proved such a hit that it quickly took over the shop, and now Frank Cooper’s Oxford Marmalade holds a Royal Warrant, and the rest is history. Again. Neither of these good ladies invented orange marmalade, it must have been common knowledge because in 1777 Boswell wrote to Dr Johnson telling him ‘My wife has made marmalade of oranges for you’. 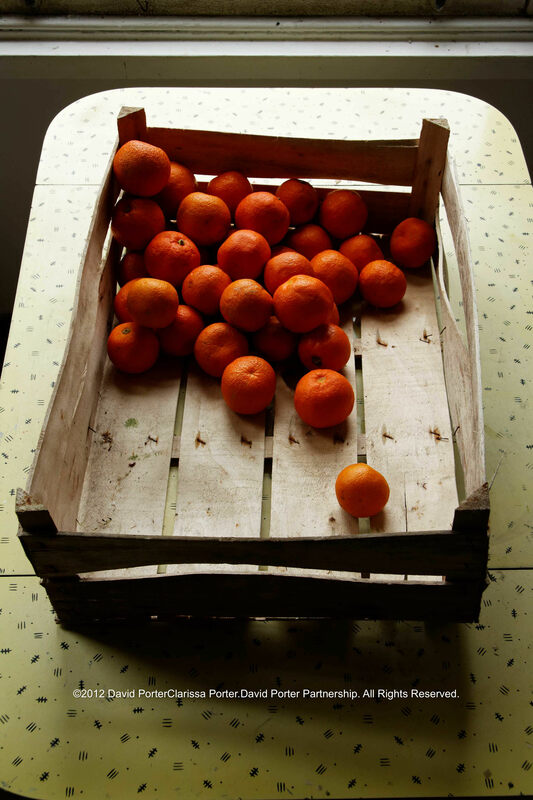 Sevilles are not true oranges in the usual sense, and are grown mostly in Spain. Almost the entire crop comes to England for marmalade industry. 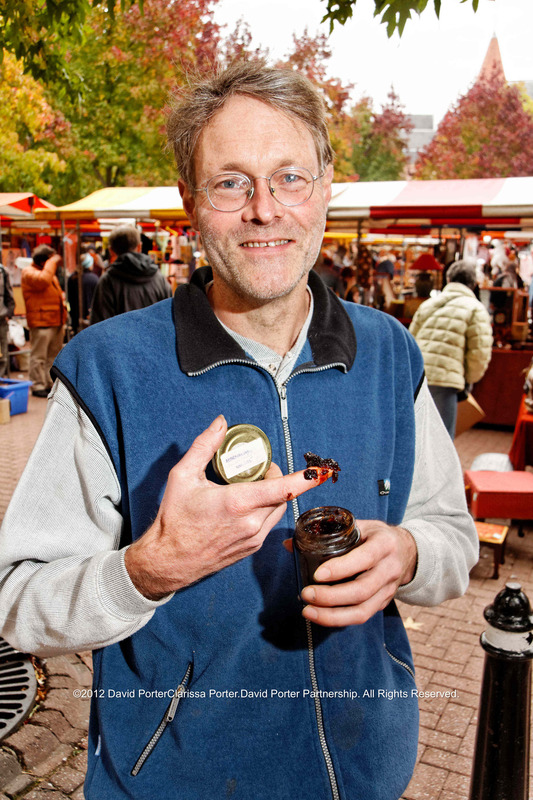 A couple of years ago I was at the Thursday Farmers Market in Oxford and met Oliver Tickell, a writer, environmental campaigner and Oxford Marmalade fanatic. Oliver has pretty firm views about marmalade, he even has a dedicated website! We sat outside a coffee shop and he produced a jar of 5 year old homemade marmalade and launched into an enthusiastic explanation of what makes real Oxford Marmalade so great while we took turns sticking our fingers in the jar and scoffing big sticky chunks of the almost-black marmalade. Over the past ten years he’s made hundreds of jars, they fill every spare space in his house and his wife has forbidden any further production. Oliver is scathing about modern marmalade, “Too insipid, tasteless, not bitter enough, too much added pectin,” he said pulling a face. ” It is impossible to buy real Oxford marmalade, it should be fruity and more astringent. The key thing, ” he adds, “is not to add any water, or very very little, and to add some root ginger. And leave in the pips, I think a few pips are no big deal.” Calling out “Make your own, it’s good for you!” Oliver sped off on his bike weaving his way through the market. I’m easily led by traditionalists like Oliver and decided that in the future this is how my marmalade must be. I would refuse to eat anything else. Keiller’s Dundee Marmalade moved to London to be near the docks for the oranges and for the sugar. 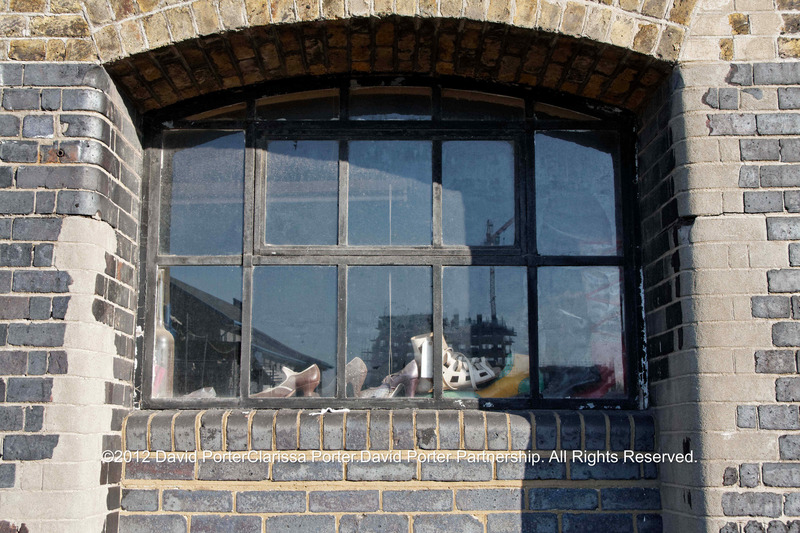 In 1880 they set up in Silvertown next to Tate’s sugar factory in the heart of the Royal Docks. Keiller’s joined Tate and his arch-rival Mr Lyle the maker of golden syrup and another Scot who’d seen the sense in moving to the London Docks. In 1900 Keillers built a spanking new wharf, Tay Wharf, named after the River Tay in Dundee and the area became known as ‘the Sugar Mile’. Tate & Lyle settled their differences and amalgamated in 1921, Keillers were joined by Trebor, Cross and Blackwell pickles, and Sharps Toffee. The air was thick with the sweet smell of sugar cooking. During the war Silvertown was a prime target for German bombers, at one point cut-off from the rest of London by a ring of fire, the residents were evacuated Dunkirk-style on the Woolwich Ferry. 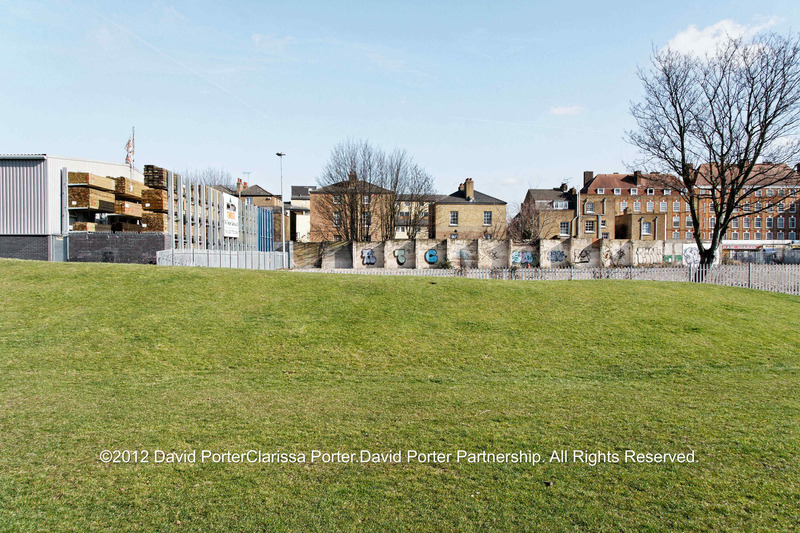 Now the workers’ terraces have gone replaced by blocks of flats; the pubs which were once every 100 yards or so have gone too. On Pier Road the Royal Standard Hotel clings on, ‘Exotic Dancers Mon-Fri’, and ‘Live Girls in Here’. Using my ‘A – Z’ I retraced my steps and found the original disused gates and railway tracks ending at the boarded up entrance, and the narrow doorway where the workers filed into the factory to ‘clock-on’. 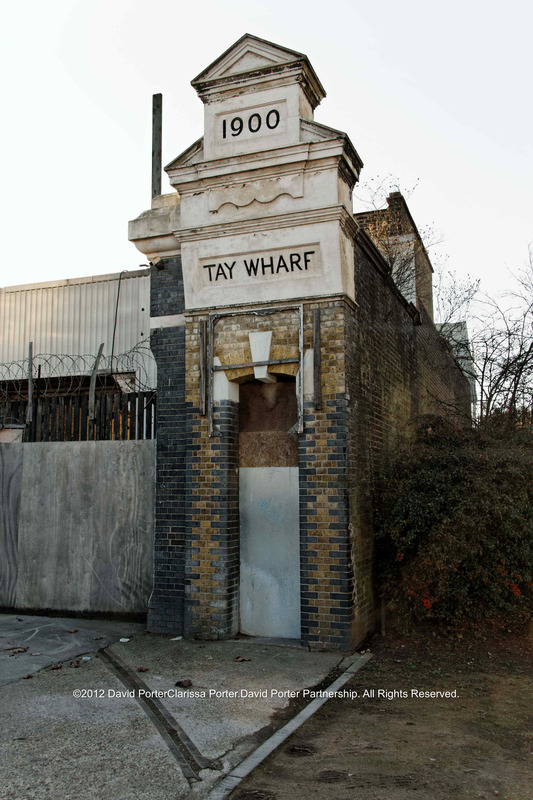 Now the wharf is home to a scrap metal yard and a theatrical shoe manufacturer. Window in the old Keiller Marmalade factory, Tay Wharf. Now home to Theatrical Shoemakers. Travelling around the country meeting and photographing people is part of my job. If I’ve travelled more than 100 miles my accent sometimes causes amusement. When I’m asked where I’m from I say: “Peckham.” Sometimes I add “innit” which always raises a laugh. 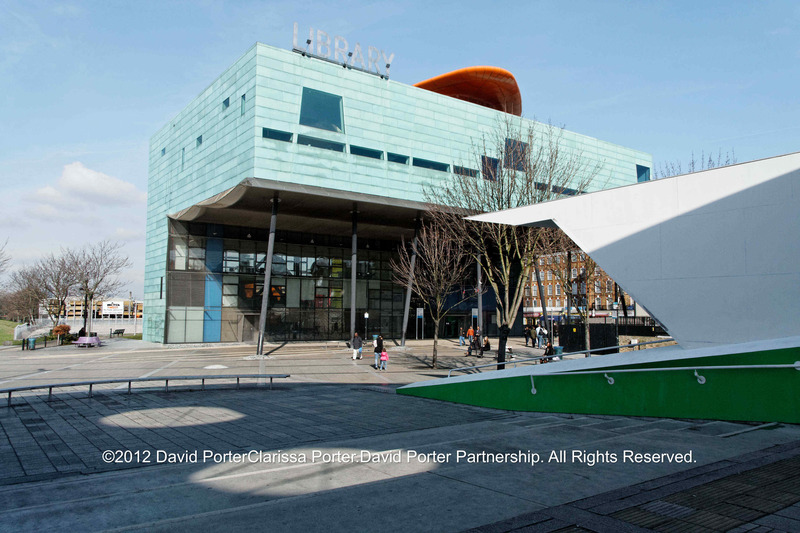 If I said Deptford or Lewisham there’d be puzzled looks and I’d have to go into detail. “Near the Dome,” I’d say, searching their faces for signs of recognition. Or, ” I can see Canary Wharf from my road…it’s between Lewisham and Harrods..,” and so on. I’m not from Peckham but my family were from Walworth and Peckham, and everybody’s heard of Peckham thanks to ‘Only Fools and Horses’ (which was actually filmed in Bristol and Ealing). John Evelyn was a friend of Sir Thomas Bond who lived in Peckham Manor House. Like some of my relatives Sir Thomas was born in Peckham. The Manor House was somewhere behind the present library. The Bonds’ family motto is ‘Orbis Non Sufficit‘ or ‘The World is Not Enough’, a phrase James Bond referred to as ‘the family motto’ in the eponymous film. Like his friend John Evelyn, Sir Thomas collected fruit trees, I think it’s reasonable to suppose he had orange trees as they were highly regarded decorative plants in the 17th Century. 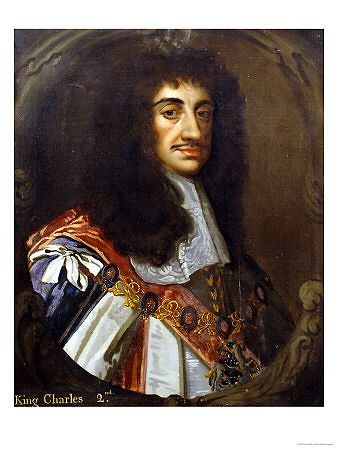 Charles II made him a baronet when he was restored to the throne at the end of the Commonwealth in 1660, and the two men were friends. 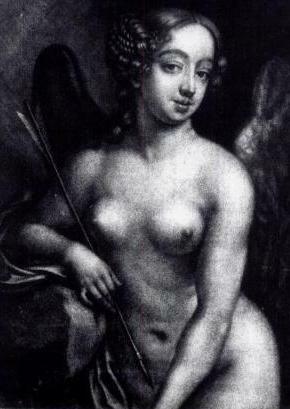 Nell Gwynn as Cupid, by Richard Thomson. Pepys had a copy of this engraving in his office. She probably met John Evelyn because there is a tradition that the Royal Hospital in Chelsea was her idea, something she persuaded Charles to do, and Evelyn was the Commissioner in charge of Dutch prisoners of war kept at Chelsea so he was consulted about the new Royal Hospital. In her early life the aspiring actress sold sweet oranges from China for 6d, at the Theatre Royal in Drury Lane. Later she acted in several plays, becoming something of a star with a gift for comedy and very popular with ordinary Londoners. Sooner or later it was inevitable she would come into contact with the King, either at the theatre, or at the private performances given at the palace. He was smitten, paying her up to £9,000 a year and giving her a house in Pall Mall where she kept meticulous records. She was fond of oysters, macaroons, rum, faggots, and oringes. She had two children by Charles and he was about to make her the Countess of Greenwich when he died. She always overspent, and when Charles was on his deathbed he said to his brother and heir James, “Let not poor Nelly starve.” The new King paid off her debts and continued paying her a pension. She died at the age of 37, after suffering two strokes. and was buried at St Martins in the Fields, the future Archbishop of Canterbury conducted the service. James II was deeply unpopular because he was openly Catholic, and he fled to France in 1688 followed by Sir Henry Bond who was bankrupted by his father’s development of Bond Street in the West End. Peckham Manor House was sacked by the Protestant mob in 1688, the year of the Glorious Revolution. 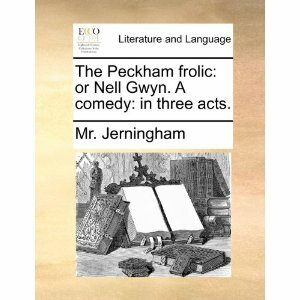 The legend of Nell in Peckham, and the subtle absurdities of religious secrecy were satirised 100 years later in a play by Edward Jerningham, ‘The Peckham Frolic’. My recipe is Oliver Tickell’s for Oxford Marmalade. You can make marmalade with sweet oranges instead of Sevilles, I’d simply reduce the amount of sugar to compensate, the sugar has nothing to do with the marmalade setting so you can adjust to your taste. I like mine bitter, I leave the pips which have softened in the cooking, and I like the chunks to be man-size. This is a bloke from Peckhams marmalade, a real geezer of a marmalade! You’ll need storage jars, enough for 4.5 kg of marmalade (10x 1 lb jars). 3.6 kg granulated sugar. You can use brown sugar if you wish. Wash the fruit and cut into halves. Put the fruit into a large pan with 300ml of water. Cover with a lid and heat. When the water is warm add 900g of sugar and cook gently says Oliver, for 30 minutes stirring occasionally. Allow to cool. Then remove the fruit and slice it into chunks, or strings if you prefer. I like builder-size pieces. Return to the pan, pips and all, add the ginger and heat. The pips are necessary for the Pectin they provide and the bitter taste. When warmed stir in the remaining sugar and bring to the boil. Allow to cook at a gentle boil says Oliver, or a fast simmer, for hours! At least 2 hours. Stir all the way to the bottom, and stir frequently to prevent burning. When the mixture turns a deep brown and the pith is translucent the marmalade is ready. Stir in the treacle if you want, for extra oomph. Test for setting point by dropping a small piece of marmalade on a very cold plate, it should set after a few seconds, if not carry on cooking! When it is ready have your jars standing-by and warm. You need to bottle the marmalade hot or it won’t keep. Ladle or spoon the hot marmalade into the jars leaving a small air gap, seal tightly and leave them to cool. Store the marmalade in a cool dark place. Next comes the toast and butter, and the frolic. This entry was posted on Wednesday, February 29th, 2012 at 19:36	and tagged with Deptford, dockyard, frank cooper, jam, marmalade, Nell Gwynn, orange marmalade, Oxford Marmalade, Peckham, Peckham Frolic, royal warrant, Seville oranges, Silvertown and posted in Recipe. You can follow any responses to this entry through the RSS 2.0 feed. I live in the place which won the marmalade ‘Ashes’ by the way. As always, a DP post is thorough, amusing, and informative, thank you. Thanks David, an education as ever! Thanks Nikki! I’ve only just found out it’s National Marmalade Week right now till the 3rd March. Synchronicity. Hampton Court has an exhibition coming up starring Nell Gwynn. “The Wild the Beautiful, and the Damned.” April 5th – Sept. 30th. I enjoyed this post very much! But as the author of “The Darling Strumpet,” a novel about Nell Gwynn, I must make a couple of tiny corrections. Despite the legends, according to her recent biographers Nell did not have anything to do with setting up the Royal Hospital in Chelsea. She certainly met John Evelyn, because in May 1671 he recorded in his diary that while he was walking with the king in St. James’s Park Charles stopped to talk to Nell, who was leaning over the wall at the back of the garden of her house at what is now 79 Pall Mall. And while Thomas Tenison did give her funeral, he was at the time the vicar of St. Martin-in-the-Fields, and did not become the Archbishop of Canterbury until years after her death. I’ve tried making marmalade – Nell’s own! – but will have to try out your receipte.